As I write this week’s Tip, my to-do list is growing, my heart is racing, and I’m overwhelmed by everything in my in-box. I know I should pause for a moment, breathe, and figure out what to tackle next. But it feels too risky to slow down.And I’m far from alone in my panic. Countless business owners and executives tell me they don’t have time to take a break from getting things done to ensure that the right things are getting done. As a result, they’re making snap decisions that don’t always turn out well. Then there’s my client, Gretchen. For the past 25 years, Gretchen has owned a consulting company in the human resources field. Lately she’s been feeling burnt out, weary of being solely responsible for running the business and bringing in new clients. You can imagine how thrilled (not to mention relieved) she felt when a colleague approached her about buying the company. 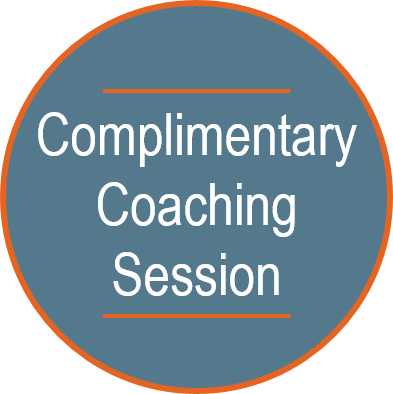 At our recent coaching meeting, Gretchen was already making plans to sock away the anticipated profit, take a nice long vacation, and pursue all the hobbies and interests she’d been putting off. I didn’t want to rain on Gretchen’s parade, but before she signed on the dotted line, I thought she should take a careful look at what success meant to her. What did she hope to gain from this deal? What was in it for the buyer – why was he approaching her, and why now? Was Gretchen really ready to retire at age 52? How much money would she need? Before expressing my reservations, I took time to share in Gretchen’s excitement and ask if she wanted help thinking about the offer in realistic terms. She admitted it might be a good thing to shift her viewpoint from naive enthusiasm to confident enthusiasm. What if we drew up a list of questions for herself and the potential buyer, so they’d both be clear on the terms of the offer and how it would work? We spent the next hour discussing how Gretchen could structure the sale so it would be consistent with her goals and values. Gretchen did a great job of stepping back, slowing down, and thinking fully about what she really wanted. She arrived at her next meeting with the buyer ready to listen and gauge quickly whether or not the arrangement suited her. Had she gone in without this preparation, she might have jumped into an agreement she’d come to regret. Pause and think before you act. As business owners, we don’t get offers to sell our companies every week. But we do have lots of opportunities to assess the non-stop work that comes our way and make informed decisions about which actions to take. 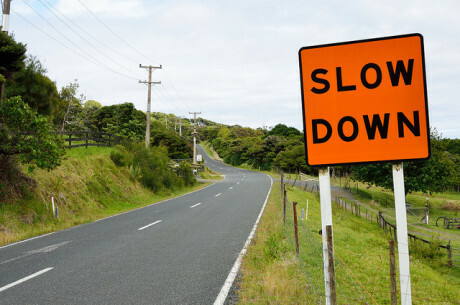 I tell my clients: slow down before you speed up. Take a step back so you can run forward. How can you apply this strategy to your busy schedule? Create decision criteria that will help you judge whether to go ahead with a project or not. Take into account such things as capacity, resources, and the project’s relevance to your core business. Take a break from the action. Go for a walk, call a friend, go to the gym. Form a board of advisers or a mastermind group – people you can consult when you need input on your business. Share the question with a higher power, whether by journaling, prayer, sleeping, or sitting and listening to your inner voice (read more about this technique here). Schedule time each Sunday night to plan your week and break your projects into doable pieces. Post a summary of your mission and your vision near your desk to help you stay on track. All these things take time away from your actual work, it’s true. And it may seem as though you’re already going flat-out, without a minute to spare. But as Gretchen discovered, investing time to figure out what’s important to you can prevent you from spending time (not to mention money and energy) unwisely later on. As for me: now that this month’s Tip is done, I plan on setting aside a quiet moment before tackling the next item on my desk! How do you separate the work that’s important to your business from the work that’s not? Need help? Contact me and learn more. Such a timely article for me Andrea! Thanks so much for sharing this perspective. I’m wondering if you have tips for how to gracefully change your mind about a piece of work and/or say no to something when it doesn’t fall into your decision criteria. I feel like I make up reasons to stay involved in tasks that may not be important to me, but that are important to others because I made a commitment to do them. Georgiana, thanks for suggesting this topic. One of my past Tips (https://coachandrea.com/2013/11/01/how-to-say-no/) provides some ways to say no or at least buy yourself some time. Check it out. Thank you for suggesting that add’l post. Very helpful! Andrea, I enjoyed your newsletter. I particularly liked your main point – as you know by now I am a fan of stepping back for the big picture and do it regularly (often with your welcome help). I also liked that there was enough length in the newsletter before you asked me to click through that I got value even before clicking. And the whole story was not only engaging, but it showcased your compassionate coaching style beautifully. Thank you for your feedback. Are there particular tools you use to “step back” that you have found beneficial?